Our new shipment included this cute little fella that is catching everybody’s eye. The quality of the carving is exceptional. In fact the whole container from China was full of a very high calibre of workmanship. Charlie’s eye rarely lies and he was very excited at seeing how his instincts paid off . Fountain frogs, scholars, musicians, six-sided planters; the variety is both substantial and refreshing. Truthfully, the “little fella” above has some smaller brothers and sisters that are just as cute and much easier to handle. Of course these ‘teeny’ ones are happier in pairs. 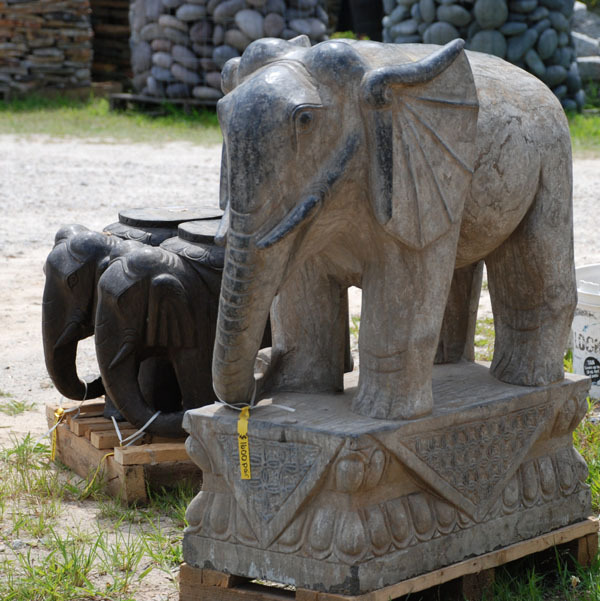 So please come for a visit and give these pachyderms a home.